Hey, hey, hey. How's it going!? I'm here today with something really great. I'm excited about this one. 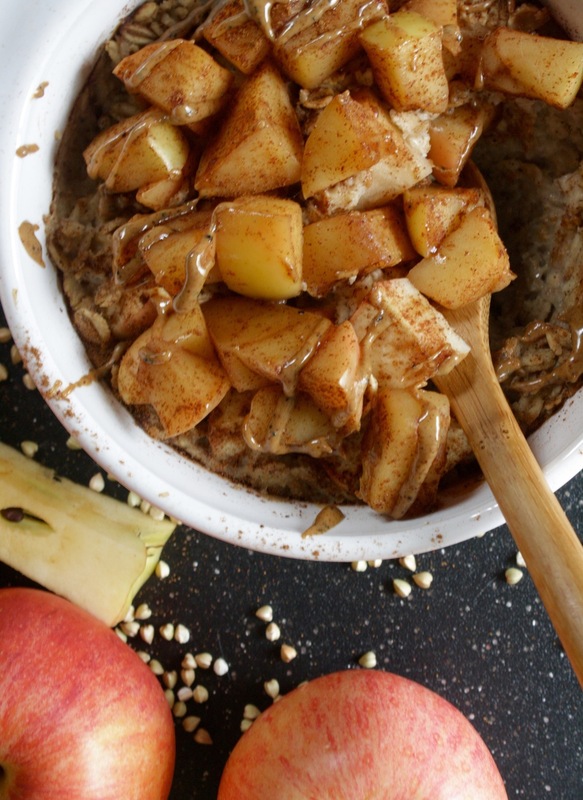 Cinnamon apple baked oatmeal. Perfect for the chilly fall mornings. I just bought my first bag of apples for the season and this was at the top of my list. It took me a few tries to get this where I wanted it to be. But I'm not complaining. The more oatmeal, the better. Right? I recommend topping this with some maple syrup and almond butter. That will take this oatmeal to the next level. Preheat oven to 375. Mix all ingredients together in a medium sized bowl. Bake for 20-25 minutes. Remove from oven. Top with remaining apple tossed in cinnamon, maple syrup, and almond butter. Serve, enjoy!